Driving the creation of future-proof technology, Finlux has introduced a whole series of ultra-efficient and convenient EV chargers for residential as well as public areas. Finlux EV chargers support OCPP 1.6 and can be integrated in Charge Point Networks easily. Why not save more? Charge your car on the cheap electricity tariff. Just program your charger over the mobile app and that’s it. Simply control and monitor your charging sessions via Finlux Smart Application on your mobile phone. You can review your charging history, power consumption and costs. Connect your Finlux EV Charger to your home network to access remote control features; more mobility less dependency. You need private usage ? 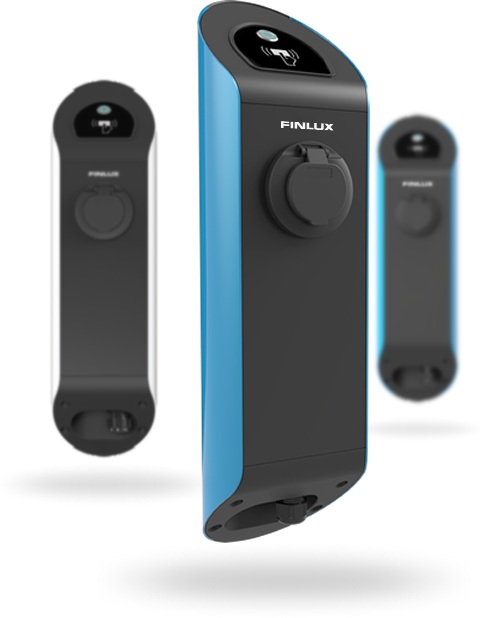 Take your smart key to activate your Finlux EV Charger. More keys for your family or colleagues? You can always copy keys for them. At Home or Work; it’s never been easier to charge your electric car, simply plug it and charging starts automatically.